Common Park is the oldest park in the city of Boston, established in 1634, and is a perfect place to relax, play sports or sunbath, as you can see in the picture. 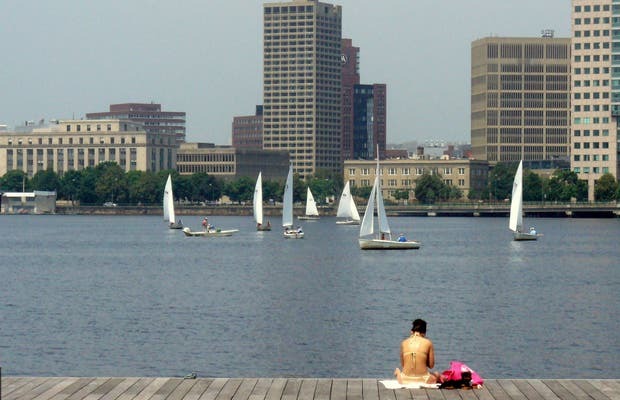 It is in the heart of town, bordering on its east side Boston Charles. There is a shipping and fishing tradition in the river, there are many who practice sailing in their waters. This is a nice place for strolling with the hundreds of squirrels leaping from branch to branch and the well kept lawn. In one corner of the park, there is a famous photo, which has become a mandatory visit for young and old, who take pictures everywhere of this curious statue.